Hi and welcome back to another post here on Ablokeseyeview, this time we are moving away from male grooming and moving on to a kind of fitness, healthier lifestyle post. If you didn't know, or if you haven't read one of our recent posts, Ablokeseyeview is not only written by me Carl but also now my best buddy Dan Co-writes for the blog too, a lot of the time we will both write separate posts but on this one we are both co-editing it due to us both starting the same 21 day challenge with Herbalife Nutrition. 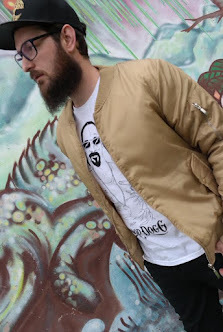 Even though we are both quite similar in terms of beard, style and our love for snap backs, we both have our own stories to tell and our own reasons for wanting to complete this challenge. A huge thanks from us both to the team over Herbalife Nutrition for sending us the kit we need to take challenge, there is some amazing products. 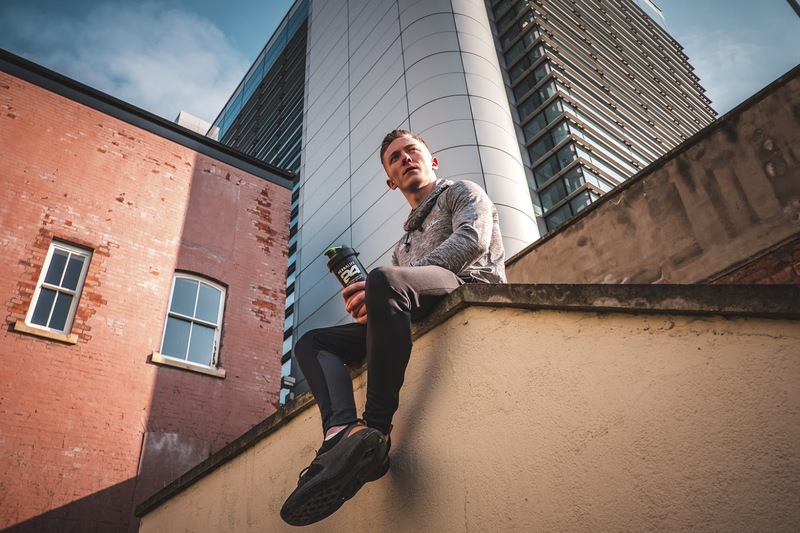 Nile Wilson is launching a new fitness initiative with Herbalife Nutrition that challenges people to get in shape and live a more active, healthier lifestyle in just 21 days. The Herbalife Nutrition 21 Day Challenge is quite unique, it can deliver serious improvements to your flexibility, Core strength and co-ordination. All you need is a can do attitude and time as its open to all ages and fitness levels and requires no gym equipment. The challenge also gives you a different perspective on fitness as this challenge in done through the eyes of an Olympian gymnast. They are known for their focus, discipline and obviously their strength! The exercises in this challenge have been designed to challenge body and mind whilst reaffirming positive habits that anyone taking part in the challenge can work into their everyday lives. The 21 day program includes 15-20 minute sessions that actually include some of the moves that Nile relies on when training and this challenge offers a great insight into what he believes keeps him a physically and mentally fit Olympian. With everything from burpees, floor sprints and HIIT this is definitely going to be a challenge, but we aren't going to take this lightly. We will both be pushing ourselves to become physically and mentally fitter. Nile Wilson is a 22 year old northern lad based in Leeds. 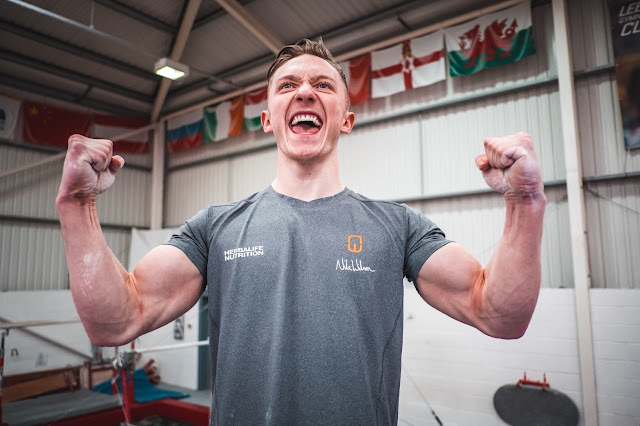 Nile is a British gymnast and if you haven't already seen what he is capable of, head over to Youtube and check his page out, he is insanely strong. He has had quite the run, in 2014 he became the first British Gymnast to win five gold medals at the European Junior Gymnastics Championships. Later that year he brought home 4 medals including two gold at the Commonwealth Games and is the reigning champ on the horizontal bars. It doesn't stop there, this guy is a machine! In 2015 at the World Artistic Gymnastic Championships Nile was a part of the first worlds men's team in British Gymnastic history and the year after brought a bronze medal home from the Olympics on the horizontal bar. This year he has so far brought home three gold medals and two silver from the Commonwealth Games in April which was held in Australia. He will also be competing in two further events this year, European Championships and the World Championships - Bring those medals back to Yorkshire Nile! If you have read my blog before then you may know that I have used Herbalife Nutrition products before and I have had some fantastic results, and still to this day I do still use their products, To be honest, I have put a little weight on since I stopped using it but full time but I do feel quite good. When I got asked to take part in this campaign I jumped at it straight away, not because I wanted to lose weight, but because I was feeling quite weak and I'm hoping that after the challenge I will feel a lot stronger, especially in my upper body and arms. I am really looking forward to seeing what the videos have to offer and I'm 100% focused on putting all my effort into it. I love the mixed selection of products I have been sent and I can not wait to start using them in conjunction with the workouts, I'm quite sure the gymnastics style exercises will work muscles in my body I didn't even know I had, I have a feeling the Rebuild Strength will come in handy after the workouts and If I, struggling to with a lack of energy before the workout, I'm sure the CR7 Drive will give me that extra boost to see me through it. I am getting married in October this year and I am still the same overweight person I have been for the past 10 years. Every year I have said, this year I will lose weight and it never happens. So for the next 21 days I am extremely excited to be taking part in this Herbalife Nutrition challenge. I want to feel confident and look good on the wedding day and I will be putting my all into this and make it happen. Not sure if I look it or not, the t shirt hides alot! However, I currently weigh in at 15st 4lb and this is nearly the heaviest I have ever been, believe it or not its taken a lot of confidence on my part to post my weight online. I will be using products like the F1 and the Herbalife Nutrition bars to assist with weight loss, then to gain muscle the Rebuild Strength and CR7 products. Another thing I really need to up is my water in take and that is where the H24 Hydrate will be stepping in and making my water taste great. The range of products that have been sent over look great and I am really looking forward to trying them out and like Carl states above, using them in conjunction with the workouts. I am not very flexible, so the gymnastic style workouts will be interesting. It's also a first for me using products like this, I have never been a gym go-er and protein shake guy. It is usually go to the gym then have a some fries after, however this has to change now. I know the products work and if you haven't already check out Carl's previous post about Herbalife Nutrition here, it is a great insight into what Herbalife Nutrition did for him the first time round. So make sure you follow us on Instagram and Twitter, you will be able to keep up to date with our progress on this challenge! This is interesting! I've not tried a product like Herbalife before but it sounds worth a try. Good luck with the plan and exercises guys, will be following along on Instagram ! Totally enjoyed reading your post guys and have book marked your site. Do share your progress as I would love to know if the products you were sent works for you both. Am sure you’ll both do fantastically! Loved the last set of results you got got Carl and this is an enhanced challenge so your results will be too!